Dropbox has today updated its web app to be cleaner and more useful than ever. The revamp covers devices from Windows Phone to Android to iOS and more closely mimics the native experience of a Dropbox app. This is a huge improvement from the standard website when viewed on a mobile device. The interactions are all logical and seem smooth, if a bit on the sluggish side due to the nature of the web app beast. Much of the external chrome is removed and the app devotes a ton fo space to actually letting you navigate around your Dropbox. You can’t upload files but you can download files and delete them. 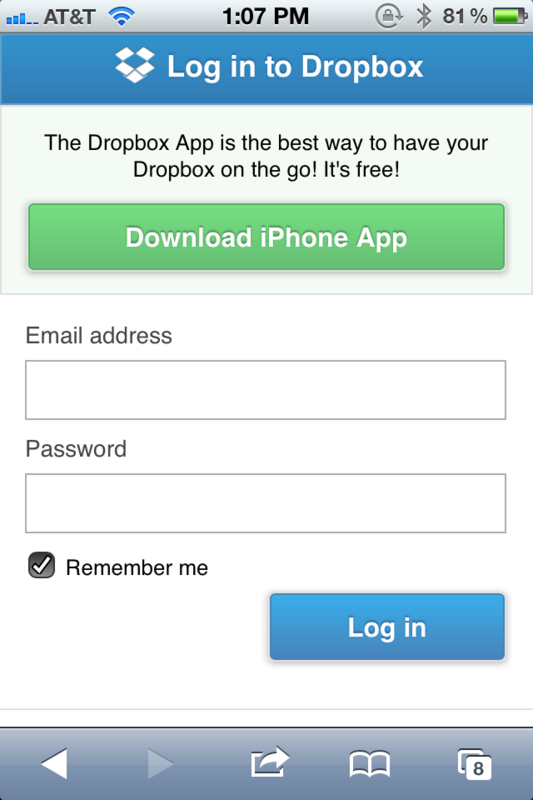 There is also a handy link option that allows you to send a Dropbox link to someone. Search: Finally, you can search your Dropbox for that e-book that was such a pain to browse to! File quick actions: Whether you are browsing or searching for files, now in addition to downloading a file, there is also a quick action menu dropdown that gives you access to additional things you can do to your files. For now, that means sharing and deleting. 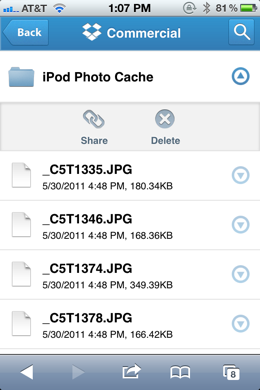 Share: We’ll generate a link that helps you quickly share a file or folder with your friends. Simply copy a link to your device clipboard or email the link on. Delete: Got a few minutes to spare? Try out our new delete functionality and clean up your Dropbox. Account settings: For easy access to your basic account settings, go to the new account settings tab. Internationalization: We now offer our mobile site in 5 different languages: English, Spanish, French, German, and Japanese! We’ve played around with the app a little bit and it is definitely a huge improvement over the old style. It will most likely be best for you to stick to a native Dropbox app if one is available for your platform, but if you’re on a strange device or if you don’t have the native app available, this should make a nice alternative. 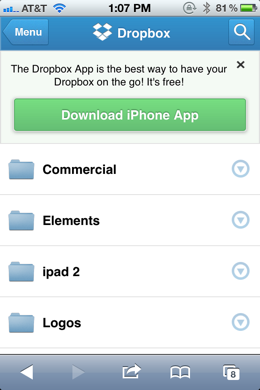 You can try the new app out by visiting http://www.dropbox.com/m on your mobile device.